Today, we bring to you SSC CPO cutoff of 2016, 2015 and other previous years. You'll get an idea of the range where the cut-off lies in SSC CPO SI Exam and prepare accordingly for the upcoming SSC CPO SI 2017 Exam. 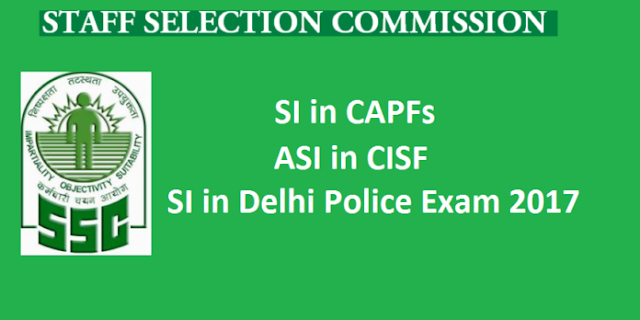 The Staff Selection Commission (SSC) has just released SSC CPO 2017 notification for Sub Inspector (SI) in CAPF, Assistant Sub-Inspector (ASI) in CISF, Sub Inspector (SI) in Delhi Police as per official updated SSC Exam Calendar. Lakhs of candidates apply for SSC CPO recruitment 2017 making the competition level very high. Candidates who are going to appear for this recruitment are in continuous search of the SSC CPO Previous Year Cut Off. So here we bring the complete cut off of previous years for SSC CPO exam preparation. Candidates also need to know the detailed and updated syllabus of the SSC CPO SI Exam so that they can prepare a better and neat time table by covering all the topics as per official syllabus and pattern. So the first point is that you should go through all the details and information and have more clarity regarding exam pattern and syllabus. We hope the post will give you the complete idea of the range of the cut off of SSC CPO SI Exam and help you prepare accordingly. If you still have any queries regarding it, feel free to ask them through the comment section.